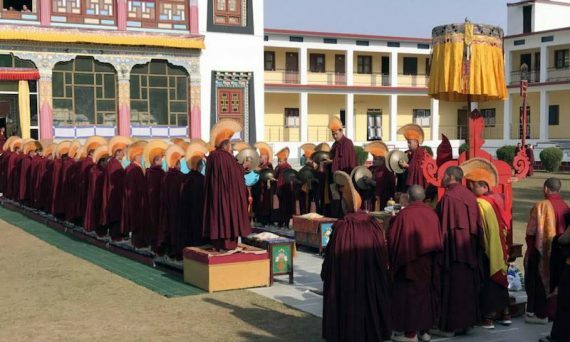 A magnificent beginning to the New Year of the Earth Dog has begun at Mindrolling Monastery. 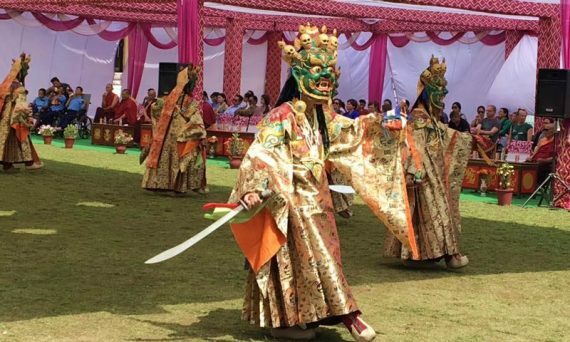 Stories, photos and video from the Thugje Chenpo Drubchen, the 10th anniversary of the parinirvana of Kyabje Mindrolling Trichen, the Yamantaka Drubchen of Shinje Drekjom, Venerable Dagpo Rinpoche, the appointment of new kenpos and lopöns and more. an annual tradition since the 17th century. 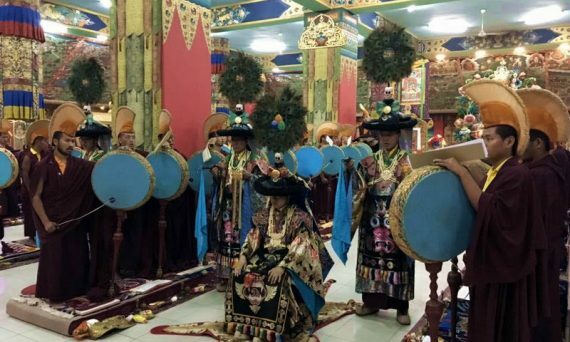 In accordance with the instructions of the great master, Chögyal Terdag Lingpa, and to commemorate the anniversary of his parinirvana, the sangha of Mindrolling Monastery perform the Kagyed drubchen each year at the end of the first lunar month.